Thyagaraya Nagar is one of the busiest commercial hubs in Chennai. It has a diverse mix of residential complexes, big and small commercial establishments, educational institutions and entertainment facilities. The constituency has voted against the winning party in five assembly elections since 1962, and is hence known for voting against the trend. The AIADMK has been in power since 2006. Before that, the Tamil Maanila Congress was elected here in 1996 and the DMK in 2001. 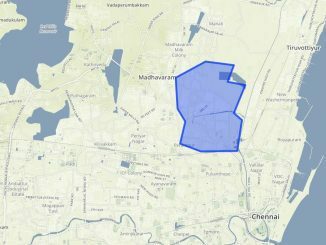 T Nagar constituency comprises the wards Vadapalani (West), Vadapalani (East), Kalaivanar Nagar, Navalar Nedunchezian Nagar (East), Navalar Nedunchezian Nagar (West), Ashok Nagar, M.G.R.Nagar, Kamaraj Nagar (North), Kamaraj Nagar (South), Thiyagaraya Nagar, and Rajaji Nagar. These areas are among those severely affected areas during the floods. The incumbent MLA, V.P. Kalairajan (AIADMK) has been serving as the MLA of T.Nagar since 2006. According to him, in his first tenure, he had focused on improving educational facilities in the constituency. However, the AIADMK leadership has reportedly denied tickets to incumbent candidates in T Nagar for fear of an anti-incumbency wave. As a new face in the electoral contest, N.S. Kanimozhi, draws on the political lineage of her grand-father N.V. Natarajan and father N. V. N. Somu who were DMK leaders. 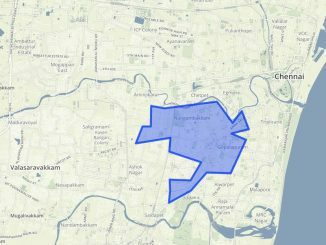 Sathyanarayanan, the councillor of ward 130 of the Chennai Corporation, is another new face in Chennai. He is the secretary of AIADMK’s South Chennai (North) district unit. The Bharatiya Janata Party’s national General Secretary, H. Raja, is the party’s candidate from T. Nagar constituency. In the Lok Sabha election in 2014, the BJP was in second position here after the AIADMK. According to Mr. Raja, traffic congestion, increased crime rate, and lack of proper lighting are some of the long-pending issues in the constituency. He says the constituency does not have an adequate number of public parks and playgrounds. 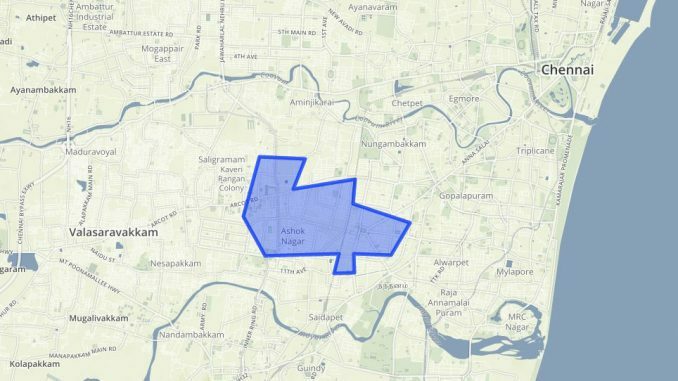 Though T. Nagar is known as a much preferred shopping centre, the increased commercial activity raises a number of issues like traffic congestion and pollution, causing much distress among the residents. The residents say that there are a lot civic issues that need to be addressed immediately; but even after repeated complaints, the authorities have not taken any action. According to B. Kannan, Secretary, T. Nagar Residents’ Welfare Association, the residents feel let down by the governments that have come to power so far. The grievances of the residents remain unresolved even after repeatedly raising them with the authorities over the years. The issues raised by the residents include dumping of garbage on streets and drains, encroachment by shops, building violations and illegal water-tapping by commercial establishments. According to V.S.Jayaraman, a member of the association, the violation of law by commercial establishments has been a cause of concern. “Fire safety certificate must be made mandatory for all commercial buildings as per the National Building Code 2005, and action should be taken against officials who aid such illegal activities,” he said. Frequent clogging of sewer lines, unregulated parking on the streets and the use of pavements and service lines by hawkers prevent the residents from accessing these facilities. Air, noise and water pollution and inadequate supply of drinking water are other issues raised by the residents. Residents of Vadapalani in particular have complained of clogged and overflowing sewerage. Mr. Jayaraman says that due to busy commercial activities and the crowd, currently the civic bodies are forced to carry out construction and repair activities in the area during night, resulting in slipshod work. The residents suggest a compulsory one-day weekly closure for commercial establishments as a solution to this. Revamping the old sewage system and enforcing government approved auto-fares are other demands raised by the residents. Earlier the Madras High Court had ordered sealing of unauthorized constructions on Usman Road and Ranganathan Street, but according to reports it was the small-scale retailers and employees who were affected the most by the order. The members of the association have launched a campaign appealing to the residents to opt for the NOTA (None of the above) option while voting to register their protest on all the issues mentioned above. Abstaining from voting will encourage bogus voting, so the residents have decided to go for the NOTA option. The association is confident that around 15% of the voters in T.Nagar will opt for NOTA in the coming elections.